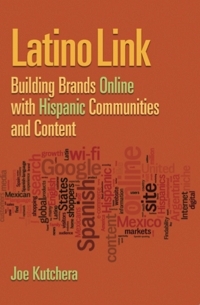 Latino Link: Building brands online with Hispanic communities and content – available on Amazon, Barnes & Noble and Paramount Books’ website. An amazing convergence is happening in marketing today: the growth of the U.S. Hispanic population and the growth of digital media. Hispanics increasingly use the Internet to keep in touch with family and friends. They search for product information. They compare prices, print coupons and shop online. 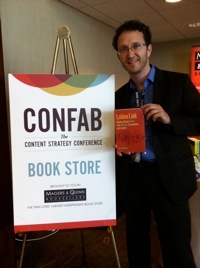 Joe Kutchera outlines the issues that your company needs to understand in order to successfully cater to Hispanic consumers online including shopping behavior, social networks, translation, localization, and mobile platforms. 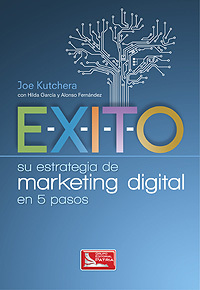 In addition, the author illustrates how marketers can grow their businesses virtually to reach Spanish-speakers in Latin America. Case studies in the book detail the experiences of Best Buy, American Family Insurance, H&R Block, Ford Motor Company, Lexicon Marketing, and Monster. 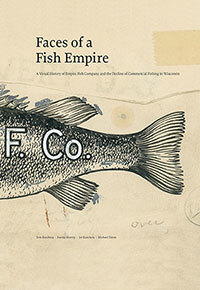 Each chapter concludes with a succinct overview of Lessons Learned. 7. Which “Flavor” of Spanish for the Worldwide Web?